Calvary Chapel Tracy is non-denominational, Bible believing, Bible teaching church. We are a family of believers from all different walks of life with one purpose in life - to live for and bring glory to God. Our desire is to know Christ and be conformed into His image by the power of the Holy Spirit. Here at Calvary Chapel Tracy we believe in the power of Scripture, the power of prayer, and the ultimate power of our God. We believe in one God who gave His Son to die for all mankind that we might choose to have a relationship with Him.  When you walk through the doors at Calvary Chapel Tracy, our hope is that you feel welcomed and like you belong. From the moment you pull into the parking lot to the moment you drive away, we pray your experience here is nothing less than encountering the Holy Spirit. The weekly act of going to church is not something we believe we must do out of obligation, but rather something we get to do as we further our relationship with our Lord and Savior. We gather to experience the love of God through the body of believers as well as through worship and the message He has for us each week. As you enter the building, you'll be greeted by a smiling face and helping hands. Our ushers and greeters stand ready to answer any questions you may have and direct you to the right area for you and your children. We welcome you here just as we would to our homes with hot coffee, tea, and some treats. All of this is free of cost and open to everyone who comes through our doors. We love our children and want the best for them so we have classes for all ages during our Sunday morning service. The ushers and greeters help to direct you to sign in your children to their classes where they will have fun learning the Word of God. Every Sunday morning, starting promptly at 9:15, we gather for corporate prayer. All are welcome to join us as we pray for our services including our servants, the messages, the children, and everything in between. We hope you'll join us this Sunday! Our worship service consists of songs both old and new, fast and slow. We play songs like Create In Me A Clean Heart from 1984, Shout to the Lord from 1994, Amazing Grace (My Chains Are Gone) from 2007, and What a Beautiful Name It Is from 2016. We are committed to staying flexible in our song choices as new songs continue to be released. The Bible is our source of truth as Christ is our standard. We teach the truth in love and with conviction. Our pastors preach the full counsel of God's Word leaving nothing out. All visitors will receive a gift from us as a thank you for worshiping with us. Whether it's your first time ever visiting a church, or just your first time visiting our church, we'd love to meet you.